Egypt’s cabinet announced on Saturday that natural gas prices for home and commercial use would increase by between 33.3 and 75 percent in August, as stated by the official gazette. 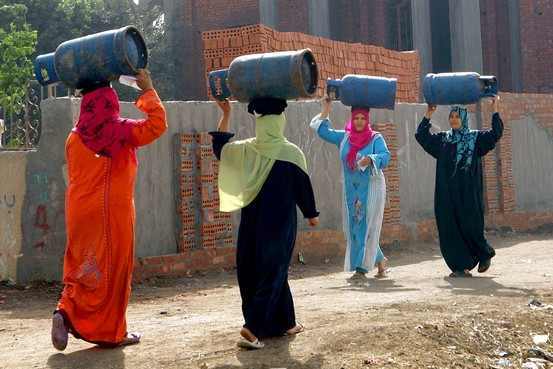 Gas consumption of up to 30 cubic meters was raised by 75 percent, setting its new price at 0.175 Egyptian pounds per cubic meter. Consumption between 30 cubic meters and 60 cubic meters increased by 42.8 percent, jumping to 0.250 pounds from 0.175, while a 33.3 percent rise for consumption above 60 cubic meters to reach 0.300 pounds. The news comes amidst a series of tough measures taken last month, which saw Egypt raise fuel prices to meet the IMF loan’s reforms that aim to remove fuel subsidies.